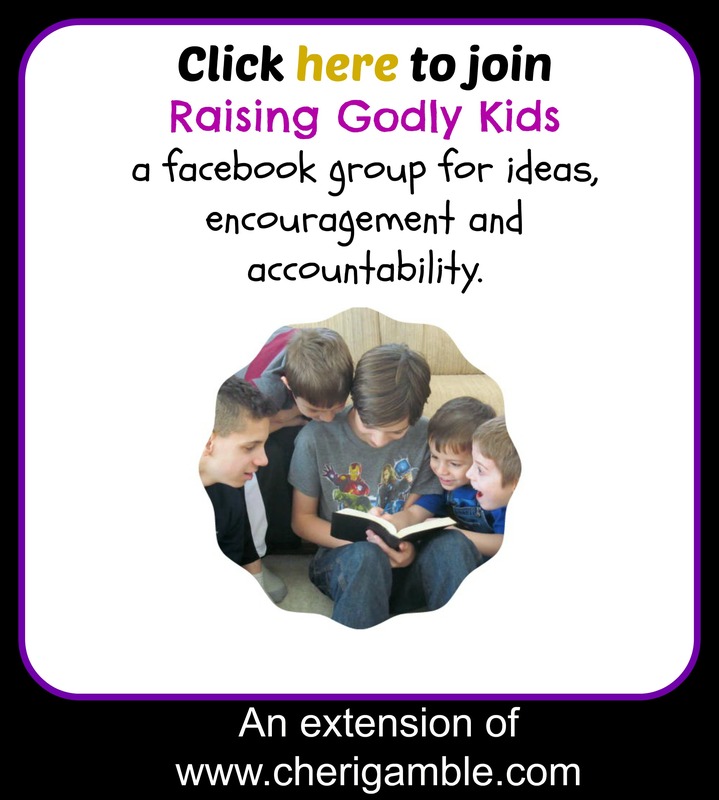 FREE Bible Lesson to teach your youngest kids about following Jesus! Enjoy this lesson based on Matthew 4:18-22, when Jesus calls his disciples to follow Him. I hope this will help your kids learn that they, too, can follow Jesus and become fishers of men! 1. Play a game of follow the leader! Walk around your room (or take your kids on a field trip around your building) and have the follow you wherever you go – doing whatever it is you are doing. Have lots of fun with this! If your kids are old enough, let them take turns being a leader. When you have finished the activity, say: In this game, you had to follow me very carefully! You had to do exactly what I did – and you did a GREAT job! Jesus wants us to follow Him, too! When we follow Jesus, we do exactly what he tells us to do. Are you a follower of Jesus? 2. Play follow the leader with a slight variation. Set up a short obstacle course in your room. Have the kids complete the obstacle course – but they have to do it exactly like the person in front of them does (they have to FOLLOW the leader!!). You might want to go first so that they have to do it just like you! (Helpful hint: don’t wait for kids to finish the obstacle course before sending the next one through or the kids will lose interest. Engage all the kids by sending them through at close to the same time.) When you finish the obstacle course, say: You did a great job following the leader through this obstacle course! Jesus wants us to follow Him – wherever He leads – and to do whatever He tells us to do! We can all be followers of Jesus! 3. Play a game of blob tag (or, if your kids are too young for this game, simply play tag). The game starts with one person who is “it”. The first person that he tags has to join him in being “it” by linking arms with him and running with him to catch the next person. This continues until everyone (or nearly everyone) is “it” and there is one long link of kids. The last person who is caught can be the one to be “it” if you play the game again. When you finish playing, say: When we follow Jesus, He wants us to tell others all about Him! He wants us to become “fishers of men”, or someone who helps other people learn about Jesus. Just like you were “catching” each other in this game, Jesus wants us to “catch” people and tell them all about Him! Gather all the kids together for the lesson time. Then say: Today we are going to talk about following Jesus. As I talk today, I’m going to tell you to do some different things and you need to FOLLOW my instructions and what I am doing do the same thing. Let’s practice. (Make sure you do the activity, too . . . remember they are FOLLOWING you!) Jump up on down. (Pause while kids do this), Stomp your feet, (Pause while kids do this), Put your hands up in the air (Pause while kids do this), Sit down and listen to the lesson. Say: When Jesus saw James and Andrew fishing, he said to them, “Follow Me, and I will make you Fishers of Men!” Jesus wanted them to leave what they were doing and become his disciples – or followers. He wanted them to help him get other people to follow him, too. That’s what it means to be “fishers of men”. What do you think Peter and Andrew did? They stopped what they were doing and immediately followed him! Can you do that? Have the kids pretend to “drop” their fishing nets and follow Jesus. Lead them to a different part of the room. Say: They all walked a little further and Jesus saw two other brothers – James and John, sons of a man named Zebedee. James, John, and Zebedee were all in a boat, fixing their fishing nets. They were also fishermen. Can you pretend to be in a boat fixing your nets? Help the kids step in the “boat” and help them pretend to fix their nets. Say: Jesus called to them also. Guess what they did? Immediately they left the boat and their father and followed Jesus! Let’s pretend to be James and John! Lead the kids in dropping their nets, stepping out in the boat and following Jesus. Say: Jesus called people to follow Him and they did. He wants us to follow Him today, to. He wants us to tell other people about him and to be fishers of men – to help other people follow Jesus, too! 2. Sing, “I will make you fishers of men”. Teach the kids motions and have lots of fun with this song. 3. Give the kids pretzel sticks (the small ones) and goldfish crackers. Have them use the pretzel sticks to make a “boat”. (You can also give them frosting or something to keep the pretzel sticks together if you’d like. Older kids might be able to use mini marshmallows to connect the pretzels as well.) When kids have their boats created, give them some goldfish crackers and have them pretend to be fishing. Let them eat their snacks, but whenever you say “follow me” they have to put the goldfish down and run to you. Talk about what it means to follow Jesus while doing this activity. 4. Give the kids a copy of the fish from the printable pdf. Have them think about people they can tell about Jesus. Have them write the names of those people on the fish (or they can draw pictures). Spend time praying for the people on the fish, and for the kids to follow Jesus and be “fishers of men”.